The gameplay in RV-7 My Drone is really shallow, you basically go on missions with your drone, save civilians, secure cargo, etc. in what amounts to undless fetch quests. These mundane quests quickly grow old and there's not a whole lot of features that keep your mind off of this fact. The stages are randomly generated which makes each playthrough unique which is nice. The controls are also very intuitive and easy to learn so that's a very good thing! Their are several different enemy types, but there isn't much variety in their behavior and the difficulty of the game is very unpredictable at times which is quite annoying. Visually the game looks really bad. 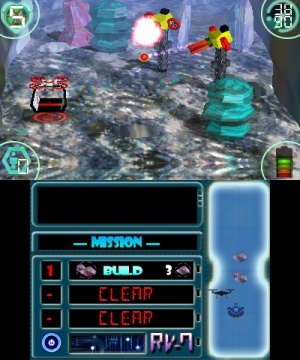 The art-direction is very incoherent as there is no theme or consistency to the stages or enemies. 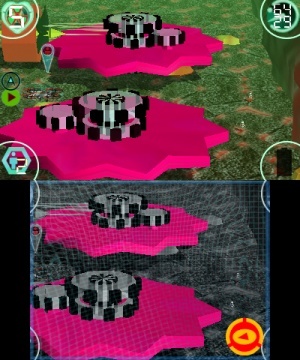 The worst part is that there's alot of visual glitches in this game that we ran across which ruined the visual presentation even further for us. 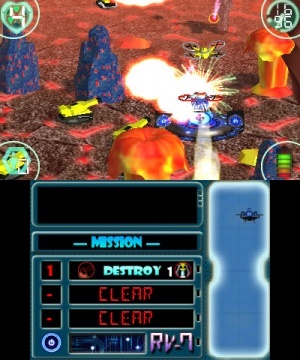 Issues included cropping and pop-in, but there were several other issues with the game's visuals as well. In-terms of audio, the sound effects are decent enough, and the music is okay, but nothing that really stands out, overall the audio-visual presentation is definitely below average. I do not like the art style it looks really amateurish. Great review dude! Good riddance to mediocre games. Good review @Ichigofan. @GeekyGamerZack and @LizofDoom Thanks you guys! I agree that the game was underwhelming.